Mobile POS (mPOS) is a device which can be linked to a smartphone or tablet and enables the user to accept a card or mobile contactless payment. Mobile point-of-sale is changing the retail industry by delivering results that other technologies have failed to deliver. The mobile POS terminals market has gained momentum over the previous years due to rapid and increasing deployments in large retail chains, across a wide number of regional marketplaces. Ease of use and better-quality return on investment (ROI) offered by these systems has positively impacted the mPOS terminals market. The global mPOS Hardware Market was valued at US$ 4173.5 Mn in 2017 and is expected to reach US$ 11579.5 Mn by 2022. The advent of affordable wireless communication technologies has increased consumer acceptance for advanced mPOS terminals. Small businesses are the main factors driving the economic growth in U.S. Firms in the SMB class are typically defined as having less than 500 employees. According to the U.S. Small Business Administration’s (SBA) Small Business Profile, 2016, there are 28.8 million SMBs in the United States. That represents 99.7% of all U.S. businesses. At least 10 million are customer-oriented businesses such as retail, restaurants, leisure, and professional services, which typically need a way to accept and process payment card transactions. On the basis of solution type, card reader accessories, which includes dongles and sleeves, is expected to be the fastest-growing segment. 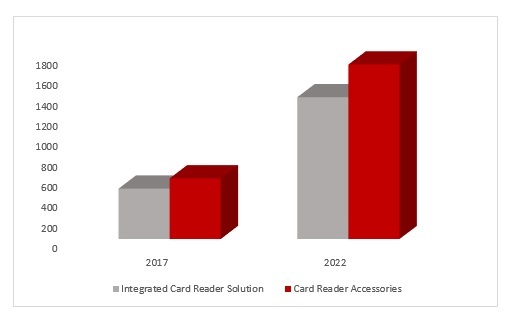 The shipment of card reader accessories is projected to increase during the forecast period 2018-2026. The demand for card reader accessories is driven by their low cost and high demand from micro merchants and small- and medium-sized businesses (SMBs). Various retail shops are shifting their POS strategies towards a consumer-first approach via solutions that employ app integration, the convergence of fixed position terminals with mobility, features based on interactions / touchpoints, self-service, and loyalty expansion. mPOS is a cost-effective hardware for the SMBs as mobile technology is being adopted exponentially. This has made it easier than ever to become a retail entrepreneur; with smarter and less costly hardware and software. 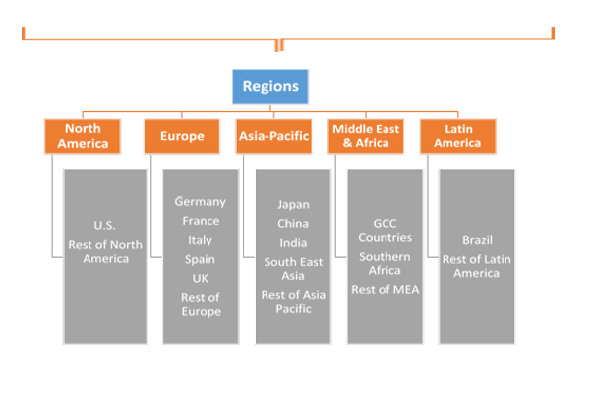 On the basis of geography, North America is expected to dominate the market, due to rising demand from application industries in the region. However, Asia Pacific mPOS hardware market is expected to gain traction over the forecast period 2018-2026 owing to increased demand from SMBs. The increasing need of smartphones and tablet market in Asia-Pacific, particularly in China and India, is expected to positively impact the mPOS terminals industry in the region. Asia Pacific mobile POS terminals market share was over 25% of the global revenue in 2015, and the increasing prominence of SMBs is expected to drive regional growth in coming years. The report provides both, qualitative and quantitative research of the market, as well as strategic insights along with developments that are being adopted by the key contenders. The mPOS hardware market report also offers extensive research on the key players in this market and detailed insights on the competitiveness of these players. The key business strategies such as mergers and acquisition (M&A), affiliations, collaborations, and contracts adopted by the major players are also recognized and analyzed in the report. For each company, the report recognizes their manufacturing base, competitors, product type, application and specification, pricing, and gross margin. 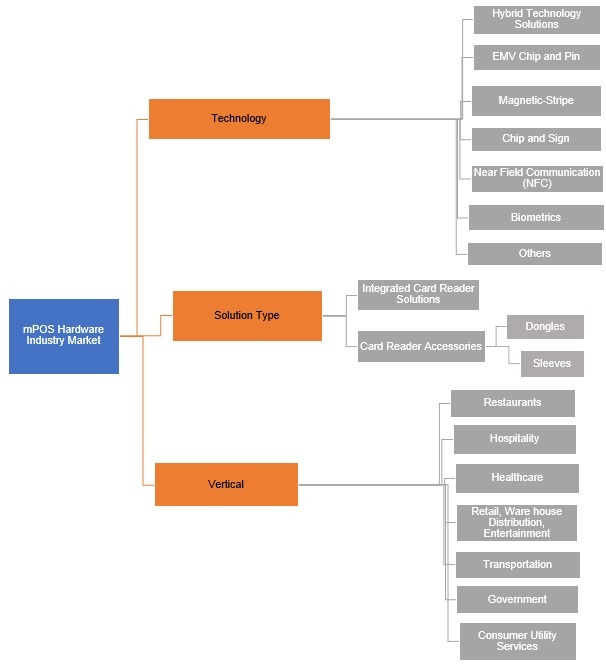 Some of the key participants in global mPOS hardware market are First Data Corporation, HP Development Company, L.P., Ingenico Group, NEC Corporation, Oracle, Panasonic Corporation, Posiflex technology, Inc., QVS Software, Inc., Samsung, Spectra Technologies Holdings Co. Ltd., Toshiba Corporation, Verifone, ZIH Corp., Bixolon, PAYPAL, Square, Inc., DSPREAD Technology 13.18. Intuit Inc., BBPOS Limited, amongst other. 14.2. HP Development Company, L.P.
14.10. SPECTRA Technologies Holdings Co. Ltd.